Celebrating a bar/bat mitzvah in Israel is one of the most rewarding experiences for a Jewish family, and having the ceremony as part of a guided tour of the country is the perfect way to add meaning to the occasion by discovering the beauty and history of the land of Israel. 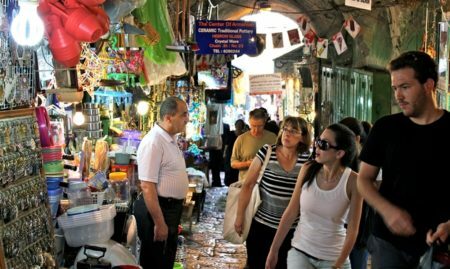 Genesis Boutique Travel offers a unique touring experience geared toward the bar/bat mitzvah experience with private guided tours for groups of all sizes that will provide a lifetime of memories and deepen your connection to the Jewish people, its heritage and the land of Israel. The culmination of the tour will be a custom-planned bar/bat mitzvah ceremony organized by Genesis Boutique Travel based how long you will be staying in Israel, where you’d like to go, where you’d like to stay, what you’d like to learn about, which rabbi you’d like for the ceremony and even what type of candy you’d like thrown at the bar/bat mitzvah boy/girl. Genesis can arrange a celebration at all of the traditional places, including Masada, the Kotel, Tzfat and Hebron, among others. 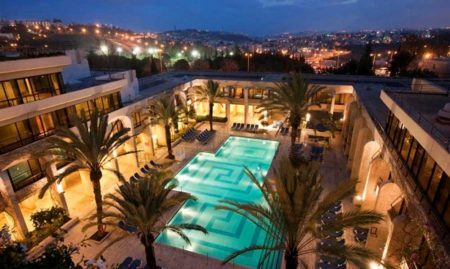 You’ll have dozens of deluxe venues to choose from, ranging from 5-star hotels to a desert venue or an ancient synagogue in the Galilee. Book our Jewish Heritage Group Tours, or choose a completely private tour, with your own personal tour guide just for your family! Booking and arrangements should be made at least 3 months in advance. Genesis Boutique Travel is a leading private touring company with 20 years experience creating customized tour itineraries of Israel and Jordan with a focus on fulfilling clients’ needs and requests and suggesting tours that work best for each individual and group. Based on the recommendation of a relative, my family of eight (two parents, two grandparents, and children ranging in age from preschool to middle school) did a same day round-trip with a Genesis tour guide of Jerusalem to Masada with a stop at the Dead Sea. We did an extensive tour of Masada. Genesis provided a great tour guide named Michel who picked us up on time the morning of our tour. On the drive from Jerusalem to the Dead Sea Michel provided a great deal of interesting information about Jerusalem and the Dead Sea that was a bonus to the expected tour of Masada. We then had a great experience at Masada. The cable cars at Masada were being repaired the day we went. Michel handled walking up the Snake Path with our large group (five from my family and over ten people from our extended family with whom we met up at Masada) very well. In addition to the information, Michel was able to answer all of our questions - including from our eleven and nine year olds! I highly recommend hiring Genesis and asking for Michel for your tour guide needs in Israel! My husband and I did two full days with Hillel: one day in Jerusalem/Bethlehem and one day Masada/Dead Sea. The tours were truly the highlights of our trip. Hillel was incredibly knowledgeable on all subjects we were interested in: history, religion, the geopolitical situation, food, culture, etc. Highly recommend! 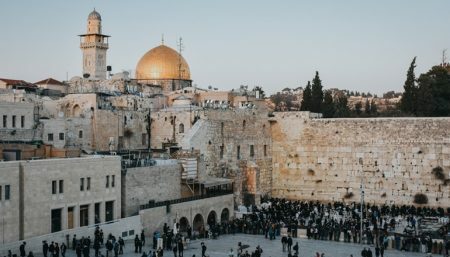 On short notice, Sharona at Genesis worked with me via email to set up an itinerary that covered what I wanted to see in Jerusalem, West Bank, Tel Aviv and Haifa. She selected Moise as my Israel guide/driver and Ramses as my West Bank guide/driver. Both were excellent, drawing upon 25+ years guiding tourists. The hotels we selected (Ibis in Jerusalem; and Rotschild 22 in Tel Aviv) were well located and perfect for what I wanted. Because my tour was a private one (guide/driver and me in a very nice Mercedes), the price was not cheap - a bit more than $3K including everything but meals (guide, car, hotels as arranged by Genesis; and meals and gratuities for the guides that I paid) for 3 days. But, it was an excellent value considering the places i was able to visit. Moshe and Ramses know everybody and were able to get us to places and at times most tourists can't .Finally, Sharona is incredibly responsive: Very willing to work out a customized itinerary that reflected her knowledge and my objectives for the visit; and no delay in putting together a quote. All in all, a big success.